Have you ever felt the strong urge to go on vacation? Have you ever wanted to see new places and experience new things? Troy’s Travel Corner is a blog dedicated to giving you a taste of different parts around the world to inspire your next vacation. For the second edition, we will be traveling to Quebec! Welcome back to Troy’s Travel Corner. Each installment will highlight a wonderful place in the world to travel to. Not every place will be to someone’s liking, but hopefully you’ll learn a little something interesting about each area. This time around, we will be taking a canoe ride along the St. Lawrence River to explore Quebec, Canada! 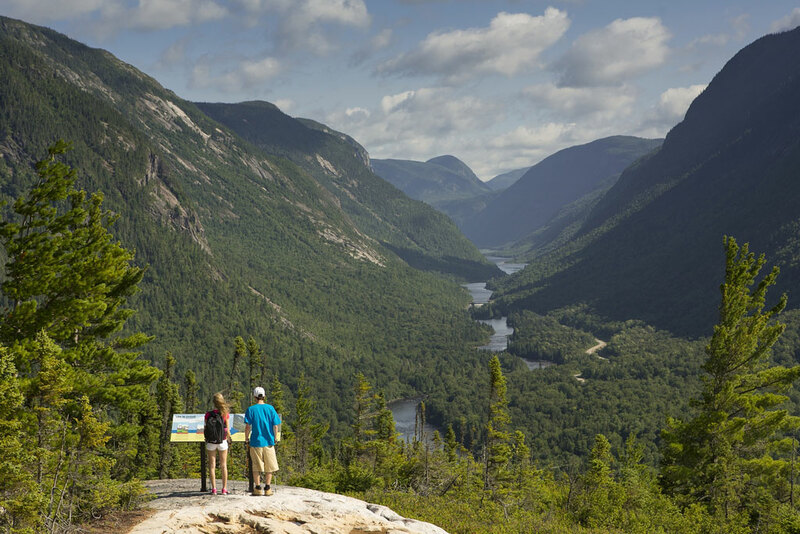 Quebec is full of beautiful landscapes, food, and activities. You'll never grow bored here! To start your French Canadian immersion, I recommend you make your first stop the old city of Quebec! This city has a variety of things to offer! From it's deep historic roots, you'll learn all about the old Quebecois way of life from the first pioneers and the indigenous people, to the fur traders and the woodsmen that helped settle what was known as the New France. But if history isn't your cup of tea, along these old cobbled paths hold many many different stores and lovely boutiques. You'll literally shop until you drop! Taking our canoe further east along the river, we will come across the beautiful scenic landscapes of Charlevoix. There are so many different activities in this area. From kayaking down the streams, to fishing, hiking, and camping. The Great Outdoors is all yours, and no matter where you go, I can guarantee you'll want to take pictures of the gorgeous view! And if you're in the mood for some whale watching, further east as the river gets wider, there is an area called Tadoussac which is well known for its numerous marine population, ranging from Beluga whales, Humpback whales, seals, and so much more! You'll never know what you'll find swimming along this huge river! Traveling back west along the river, we come across the huge bustling city of Montreal. Montreal is well known as a city of arts and culture. From it's wide range of art galleries, comedy clubs, jazz festivals. The city is constantly alive! And as always, it's important we talk about the food. Quebec is the birth place of incredible food such as the iconic Canadian dish, Poutine, which is a mix of french fries, fresh cheese curds, and delicious gravy. Also, I highly recommend you try out there many different assortments of maple syrup treats! There's a lot more to Quebec than what I've covered, but I hope this has inspired some readers to take a further look into the French area of Canada. If you have any suggestion as to where we should travel to next, leave them in the comments below! Good bye for now, and I’ll see you in the next installment of Troy’s Travel Corner! Amedeo Strumheller This is surprisingly aesthetically pleasing. Zofiya Yousuf Wow this looks great!